One of the problems with black mold is that many homeowners miss the signs until their home has a serious problem. In moist conditions, black mold can spread quickly, and the sight of it on the walls may not be the first thing you notice. It’s important to know the other signs so you can catch black mold in your home while the problem is still manageable. Black mold often grows in corners and dark, moist crevices of the home, areas that don’t exactly draw the eye. Because of this, you may smell it before you see it. Black mold has a musty, sometimes earthy sort of smell. While that might be what you expect outside, it certainly doesn’t belong in your home. If you notice this, don’t waste time hoping it might be something else. It’s best to take action right away and have an inspection. Black mold loves damp and moisture, so homes that have recently experienced water damage are the most likely to be susceptible to black mold. If you recently had flooding, or uncovered a leak, mold should be one of your top concerns. 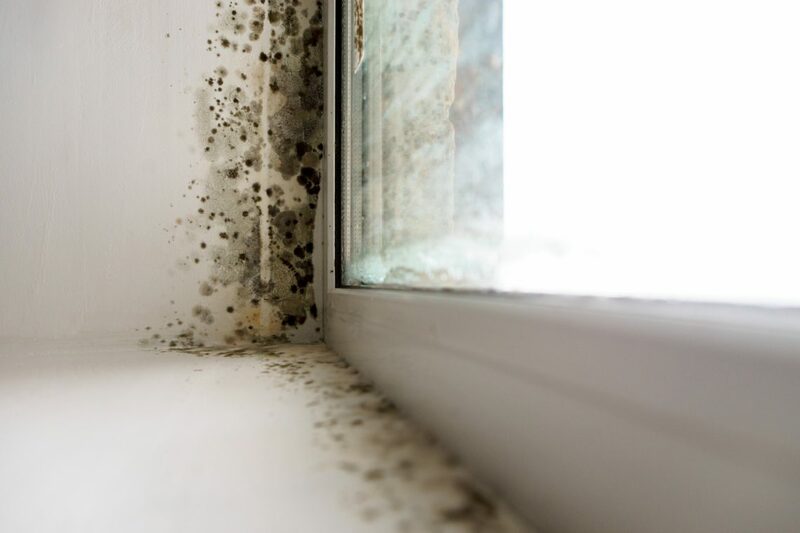 Condensation and damp on the walls, sometimes caused by problems with insulation, could be another sign that your home could have a mold problem. Have you been sneezing or sniffling lately, more than you might expect for the current season? Black mold can cause an allergic reaction that could cause homeowners to exhibit signs such as: sneezing, sinus congestion, hacking coughs, watery or irritated eyes, skin rashes and inflammation, or respiratory problems. Further exposure to black mold poisoning could lead to headaches and fatigue, and eventually nausea or vomiting. When looking for black mold, it’s best to start where you know there’s been water damage or condensation. You may notice discolored patches on the walls, ceiling or floor. You may also see cotton-like growths on any of those places or even on your own furniture. But keep in mind that sometimes mold will be inside the walls and not immediately obvious, so it’s wise not to discount the other signs.